You should always make sure your shoes fit properly in order to avoid foot conditions such as plantar fasciitis. 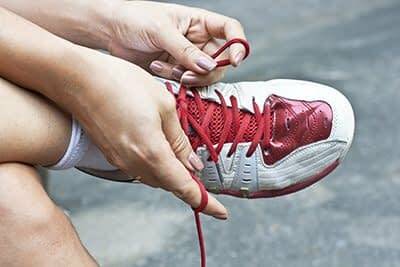 If your workout shoes are worn out, it is important to replace them. The shoes you wear should be appropriate for your gait and foot strike. Finding a properly-fitting shoe is important in reducing injuries and preventing foot problems. For more information about treatment, contact Dr. Robert J. Kaplan of Twin Rivers Podiatry Easton. Our doctor can provide the care you need to keep your pain free and on your feet. If you have any questions please feel free to contact our office located in Easton, PA. We offer the newest diagnostic and treatment technologies for all your foot and ankle needs.